A combination of the fully human anti-EGFR antibody therapy necitumumab and the chemotherapy agents gemcitabine and cisplatin has recently been demonstrated to extend median overall survival in stage IV squamous non-small-cell lung cancer (NSCLC). The Phase III SQUIRE trial of patients with squamous NSCLC reported that the addition of necitumumab resulted in a median overall survival of 11.5 months compared with 9.9 months with the two chemotherapies alone. The study data were published in Lancet Oncology. “We haven’t seen any new drug approvals in first-line squamous lung cancer in many, many years. I’m very excited to see a new agent that has survival benefit in this space,” commented Fred R Hirsch, co-principal investigator of the study, based at the University of Colorado Cancer Center (CO, USA). Necitumumab is said to be of particular interest due to its novel mechanism of action. Most antibody therapies against the EGFR are monoclonal antibodies that bind to the protein, thus marking the cell for attack by the immune system. Many monoclonal antibody therapies are manufactured as chimeric antibodies, which are formed utilizing a combination of both mouse and human DNA. A particular challenge of treatment with these chimeric antibody therapies is the immune system’s habit of recognizing them as nonself and eliminating them from the body. Rather than being produced as a chimeric antibody, necitumumab is a recombinant, human immunoglobulin G1 EGFR antibody – a ‘fully human’ formation that may negate some of the adverse effects associated with other antibody therapies. The open-label randomized SQUIRE study enrolled 1093 individuals from across 184 investigative sites in 26 countries between 2010 and 2012. Patients aged >18 years with previously untreated stage IV squamous NSCLC were eligible for the study, regardless of EGFR status. Those enrolled were randomized to receive gemcitabine and cisplatin chemotherapy with necitumumab (n = 545) or without necitumumab (n = 548) for a maximum of six 3-week cycles. The addition of necitumumab resulted in a significant increase in median overall survival – 11.5 months vs 9.9 months with the two chemotherapies alone. Individuals treated with necitumumab and the two chemotherapies experienced a higher rate of grade III or worse adverse effects, compared with those treated with only chemotherapy. However, analysis of the safety data led the investigators to conclude that the safety profile of the necitumumab combination was both acceptable and as expected. The team also evaluated amplification of the EGFR gene in tumor samples from each patient. 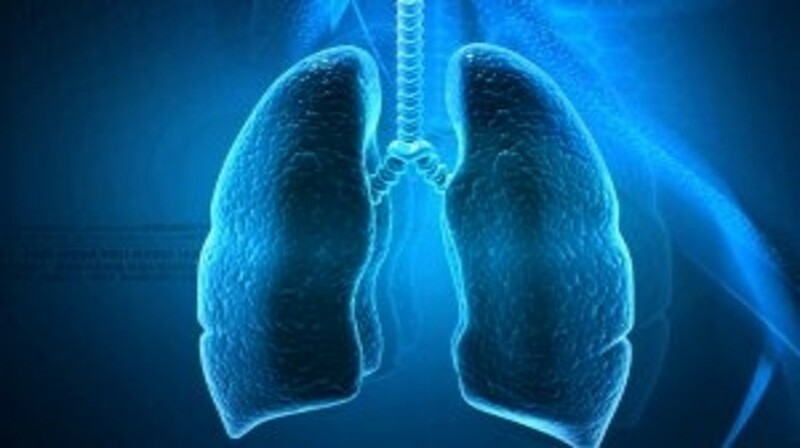 Data concerning the efficacy of necitumumab in individuals with EGFR amplification will be released at the 16th World Conference on Lung Cancer in September. A regulatory submission for necitumumab is currently awaiting a decision from the US FDA. “This is an improvement. Based on this large prospective study in first-line therapy of squamous lung cancer, a subtype of lung cancer where there is an urgent unmet need for treatment improvement, the drug warrants approval,” Hirsch concluded.